Blogging is definitely enjoyable, whether you do it for money or just as a hobby. The interaction is often stimulating but how can you enjoy blogging if no one is interacting? Interaction involves readers, not just you alone. So you have to provide what the readers want, not what you want them to read. When there is interaction, there is communication but you have to supply good content for that to happen. Now here are a few ways you can be a more effective and interactive blogger. 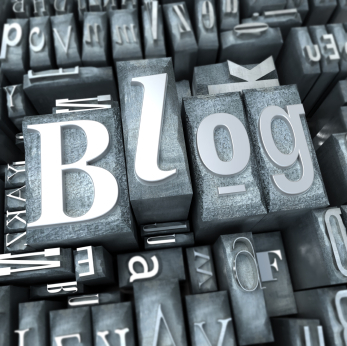 Note: Keep in mind too that you should update your blog regularly. When visitors find your blog interesting, they are more likely to return. So it would be even more pleasant if they returned to new content. Set aside time for readers to get in touch with you and get involved. When your blog grows, the demands on time become greater so you have to decide when and how much to engage with your readers. You can have all the best but your actions will reflect in the results. You have to act – interact and engage. Manage your time as best you can. Not providing a way for your readers to reach or get in touch with you can lead to a loss of readers and growth. On the other hand, the more obvious a way you have for people to contact you, the more likely they are to use it. You might notice that some websites do have a contact page which provides many ways for them to contact you. Email address, Skype ID, contact form, phone number, instant messaging options, social media sites and more and this can be a bit terrifying to manage. With so many ways to contact you, you’re just asking for trouble not to mention the productivity issues that will come with this. The most effective method of contact with readers is to funnel people into the direction of email via your contact form. It gives people the ability to connect you in an organized manner. Gmail allows your conversation to be kept in strings for easy reference – try it, it’s not bad. Leaving a comment on your blog is one way of reaching you. You don’t have to reply to every comment on your blog by the way. The important thing is to have a presence in your own comments section or reply only to important comments that are in need of an answer. This is not easy especially when you have hundreds of posts and comments but it is one way of keeping yourself accessible to others. You can also control the duration available on most blogs for commenting. Fourteen days is a common preference. When readers email you they are interacting with you. Again, you don’t have to reply to your readers all the time but if you have an effective email system you can improve your response rate. If any of these points (above) are giving you a hard time, then you might need to find some help. For instance, you can hire a few people to help manage your emails and/or comments. This will help you become more effective by taking some of the load. I hope this has been helpful to you in some way.